Agitation for self­government, led by Dr. William Carson [consult his biography at the DCB] and Patrick Morris [consult his biography at the DCB] began in the first quarter of the 19th century. 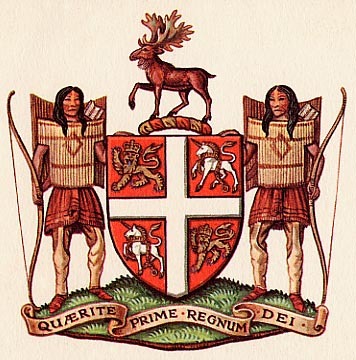 In 1832, the year of the First Reform BilL in England , Newfoundland was granted representa­tive government. Provisions were made for an elected General Assembly and a nominated Legislative Council consisting entirely of officials. The two bodies immediately clashed, often disagreeing over the most trivial details. At succeeding elections riots took place, sectarianism became intense and in 1841 the British Government suspended the constitution. Government was carried on by an "amalgamated" legislature, consisting of elected and appointed members sitting together. This arrangement proved unworkable and the constitution was restored in 1848. The year 1848 was an eventful year in colonial policy since it marked the transition from representative to responsible government in Canada and Nova Scotia, whence the new system spread rapidly to other colonies. There had been continual agitation for responsible government in the mainland colonies since the appearance of Lord Durham's report almost ten years before. 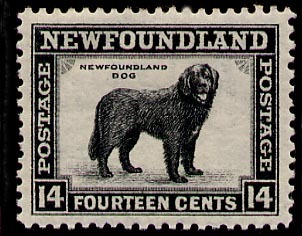 Naturally, Newfoundland was influenced by this movement. Following the restoration of the old constitution in 1848 agita­tion for responsible government increased in Newfoundland, the principal leaders being John Bent and P. F. Little. Under the existing system the executive side of government was not under the control of the people's representatives, ministers being responsible to the Governor, not to the legislature. Like the people of the mainland colonies, Newfoundlanders had come to feel that appointments in the government should be decided by the party commanding a majority in the legislature, and not by the Crown's nomination. Public meetings were held and petitions drawn up, the newspapers gave their support, and each year the House of Assembly passed a resolu­tion in favour of the substitution of responsible for representative government. In 1848 the "Catholic Liberal" party was organized and made a direct appeal to the British Government for responsible government. This appeal was rejected. It was becoming obvious, however, that Newfoundland could not much longer be denied privileges that had already been granted to Canada and Nova Scotia. By 1854, the Home Government was ready to grant responsible government to Newfoundland as soon as certain preliminary condi­tions were fulfilled, including pensions for those who would lose office and provision for a new system of representation. In 1855, instructions were issued to the Governor to inaugurate responsible government in Newfoundland. Local agitation was not by any means the sole factor in bringing about the change. The whole attitude of the British Government to economic relations with the colonies had changed with the growth of a laissez-faire economy in the 19th century. There was no longer anything to be gained by maintaining political control over distant colonies since it no longer assured a monopoly of their trade. Moreover, after Waterloo Britain had no serious naval rival so that control of government in the colonies for purposes of Imperial defence came to be accepted as unnecessary. The new government consisted of an elected House of Assembly of 30 members, a nominated Legislative Council of not more than 15 members and an Executive Council of not more than seven, appointed by the Governor. The first premier was P. F. Little, who had co-operated with the Catholic Liberal party in their efforts to obtain responsible government. The first ministry had a majority of Roman Catholics, but the growing strength of the Protestant population demanded a share of political power. Electioneering riots, particularly in 1861, brought to a head the struggle for sectarian ascendancy in politics, and it was recognized that some compromise must be made. From that date began an effort to make a fair adjustment of political patronage on a denominational basis - a practice that has continued in Newfoundland ever since. Source: GOVERNMENT OF CANADA , Newfoundland . An Introduction to Canada's New Province , Published by authority of the Right Honourable C. D. HOWE, Minister of Trade and Commerce, prepared by the Department of External Affairs, in collaboration with the Dominion Bureau of Statistics, Ottawa, 1950, 142p., pp. 15-41.